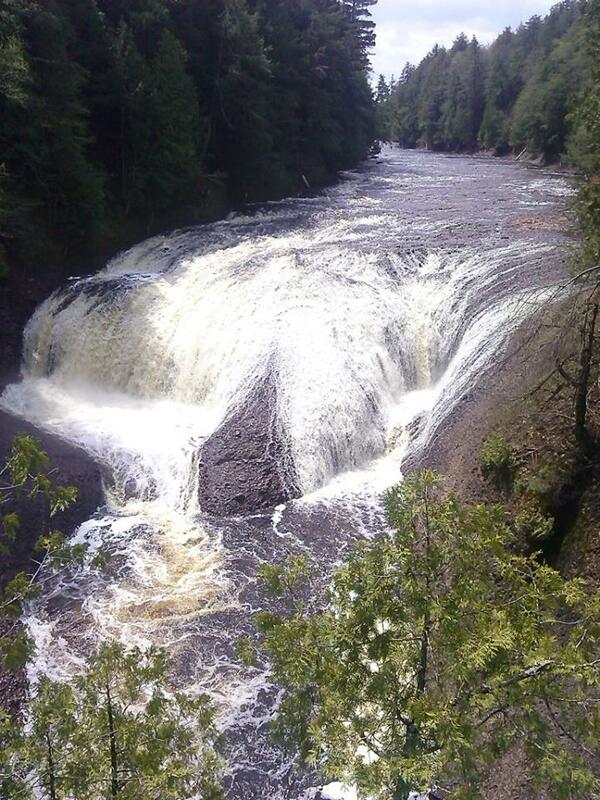 Expensify is Invading the Upper Peninsula, Michigan! Can’t wait to explore places like these in person! After forming a small team almost 18 months ago in the Upper Peninsula (aka the UP, aka the yoop), the SF team will be flying up to Ironwood for a week to experience the beautiful Upper Peninsula with our other half. From August 18 – 22nd, Expensify will be shaking things up in Ironwood with both crews, meeting the local community, and enjoying the beautiful outdoors. There’s no better time than now for the entire team to meet face-to-face; in July alone, we grew more than 26%, doubling our marketing (from 1 to 2!) and success (4 to 8!) teams, and adding lots of new people to the sales and engineering teams as well. As a result, this will be the first time for many on both teams to meet one another, so this trip couldn’t have been planned at a better time! 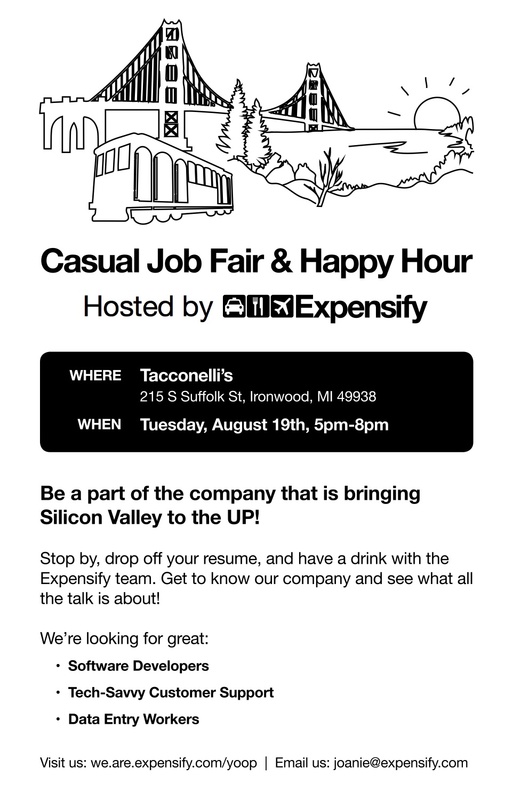 Among the many things we’ll be doing while we’re up there, we’re excited to be hosting a casual job fair/happy hour at Tacconelli’s on Tuesday, August 19th. Swing by, bring a friend or two, and come hang out with us!